Converts Mauser Pistol added by GrinnginUrchen to use 9mm Ammo added by DeadPool2099's 9mm Pistol mod. This mod takes the Mauser Pistol by GrinnginUrchen and converts the ammo to the 9mm added by DeadPool2099 9mm Pistol. 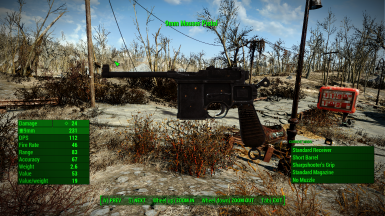 BerndR made a mod for the Mauser Pistol that renamed it to Chinese Pistol from Fallout 3. I decided to take things a little further. Being a lore junkie I decided to convert it to the 9mm Mauser from Fallout 1 and 2. If you want the Fallout 3 textures for the Mauser you'll need to download BerndR's Conversion Mauser to Chinese pistol along with the Texture Patch. You'll only need the texture files from his mod, you can keep the original Mauser Plugin esp from GrinnginUrchen. Update: Added optional version for use with Chinese Pistol Animations by WarDaddy. Choose one or the other. At its core this mod does 2 things. 2. Converts Ammo to 9mm. This mod has only 2 requirements to work. BerndR for giving me the idea to convert the pistol to 9mm.